Watch VICEROY. 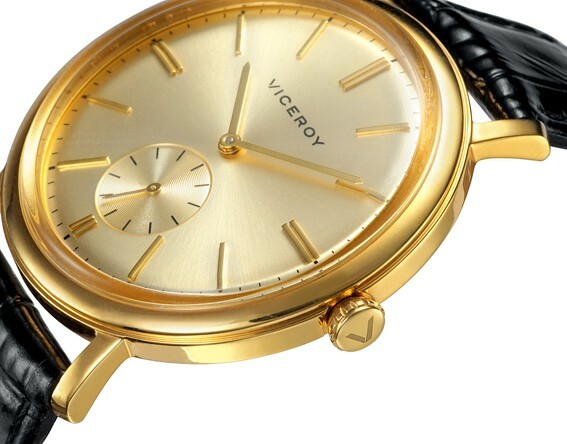 STEEL CASE PLATED IN GOLD WITH BLACK LEATHER STRAP. MOVEMENT QUARTZ, CRYSTAL MINERAL, SUBMERSIBLE 3 ATM. THE size of the box is of 41 mm. 2 years of warranty.